A late goal by Paul McCallum denied Whites a third consecutive National League victory on Saturday. 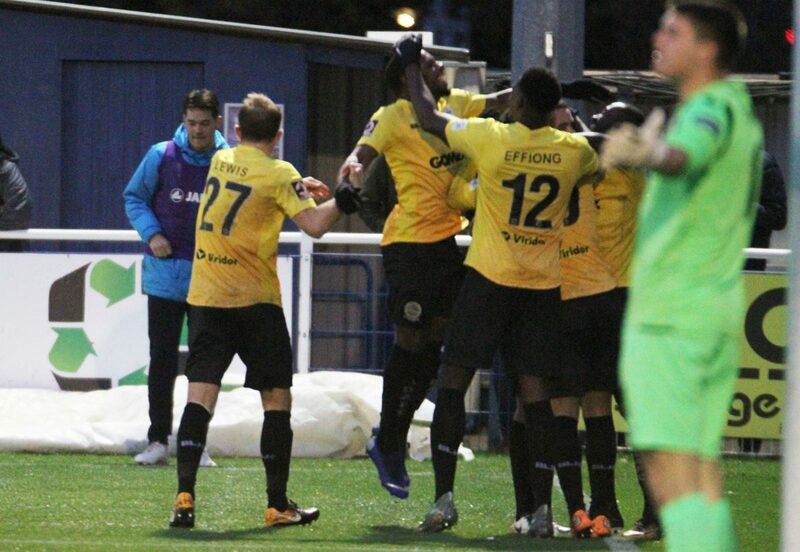 The Spitfire’s striker headed in Mark Yeates free kick five minutes from time to level the scores in a match where Athletic had led through a goal in each half from Inih Effiong and Jai Reason. But It was the worst possible start on Andy Hessenthaler’s first return to the Silverlake Stadium since leaving Eastleigh to become Dover manager as his side fell behind shortly after kick off. 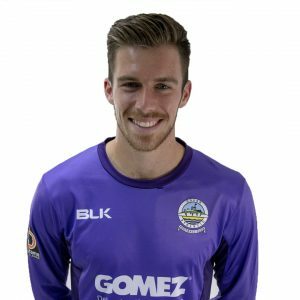 With the game just over a minute old, visiting keeper Mitch Walker pushed away Yeates’ free kick, but Joey Jones passed the ball back into the box for Williamson to fire in from close range. Cries for a penalty on Jamie Allen were turned away by the referee after Whites’ striker appeared to have his standing foot taken away from him as he shaped the shoot. But it mattered little as Effiong scores his third goal in as many games on 20 minutes. The big striker collected Stuart Lewis’ wayward shot and volleyed past home stopper Max Stryjek. Walker was called into action, denying Williamson as the forward run onto Yeates’ pass. McCallum headed over and following the restart, Lewis blasted over after the ball fell his way 25-yards from goal. Ben Williamson’s goalbound shot struck Mitch Brundle in the face, but there was no blocking Reason’s fine finish at the other end as the away team went ahead on 54 minutes. The former Eastleigh man collected Brundle’s pass following a clever free-kick routine and curled the ball away from Stryjek into the far corner of the net. Eastleigh tried to respond immediately with Reda Johnson’s looping header forcing Walker to tip the ball over for a corner. Athletic went for a third with Allen and Brundle both seeing shots on target well blocked by the home defence. 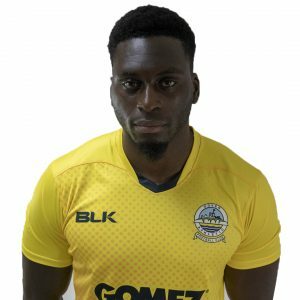 Fine play from Josh Passley out wide found Effiong, now Dover’s outright top scorer with six National League goals this campaign, at the back stick to tap in, but the ball appeared to role under the attacker’s foot. And that miss was duly punished by McCallum, who rose above the Dover defence to head into the bottom corner, though Lokko saw a late header tipped away in injury time. Earlier, boss Hessenthaler made one enforced change to the side that started at Boreham Wood on Tuesday, with Anthony Jeffrey replacing the injured Joshua Debayo. Whites next host AFC Fylde in the National League on Saturday 8th December, kick off 3pm.